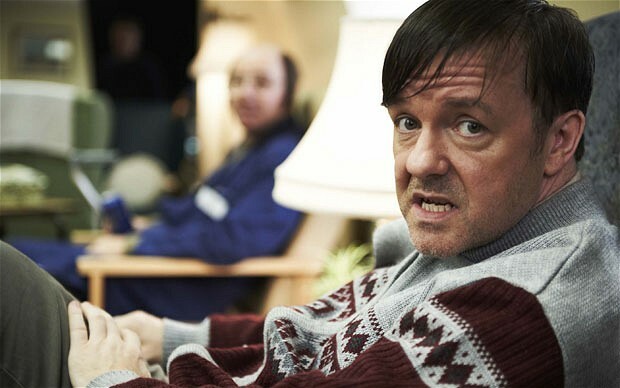 To say that I was expecting to enjoy Derek, the latest series to become available all at once to stream on Netflix in the US – though not an original series for the company, as it first aired on Channel 4 in the UK – would be something of an understatement. From his earliest work, I have been a big fan of Ricky Gervais; even before The Office debuted on the BBC, which brought him critical acclaim and propelled his career upwards, I enjoyed his appearances as a fake reporter on The 11 O’Clock Show – a program that was not completely dissimilar to the structure of The Daily Show (but a lot cruder – this piece is not for the easily offended, actually its not for the “quite difficult to offend either”). When The Office came along in 2001, not only did it instantly rank as one of my favorite shows of all time (and still does, in third place behind only The Wire and Breaking Bad), it also changed the way I viewed comedy, as well as being a “gateway show” for me discovering other series, most notably Curb Your Enthusiasm. My enjoyment of Gervais’s brand of humor continued with Extras; I listened to all of The Ricky Gervais Show podcasts and audiobooks (including highlights from the radio show that he did with Stephen Merchant), which introduced Karl Pilkington to the world and, despite my efforts to avoid it, made me crack up laughing on the subway; I found his hosting of Golden Globes hilarious; went to see him do stand up live twice; and liked his movies – in particular Cemetery Junction. Appearances from Ricky Gervais helped me discover Louie (and his scene from season 1 makes me laugh every time I watch it) and Seinfeld’s web series, Comedians in Cars Getting Coffee; while his cameo in an episode of Sesame Street my daughter was watching was also great. As the year comes to a close, here are my top ten shows of 2012, with an honourable mention to The Daily Show, which made my list last year and remains outstanding, as well as Wilfred and Life’s Too Short that were on the fringes of making the top 10. While HBO’s Boardwalk Empire did not reach the heights of last season’s epic power struggle between Jimmy Darmody and Nucky Thompson, this year’s conflict between the show’s anti-hero and his new adversary, Gyp Rossetti (Bobby Cannavale) built to a crescendo with the final few episodes being amongst the best the series has done. However, the first half of the run struggled to accommodate Boardwalk’s large cast effectively and great characters such as Chalky White (Michael Kenneth Williams), Nelson Van Alden (Michael Shannon) and Richard Harrow (Jack Huston) were not utilised as much as I would have hoped in the early part of the season. I was a late comer to NBC’s Parks and Recreation and only caught up with the show around this time last year. 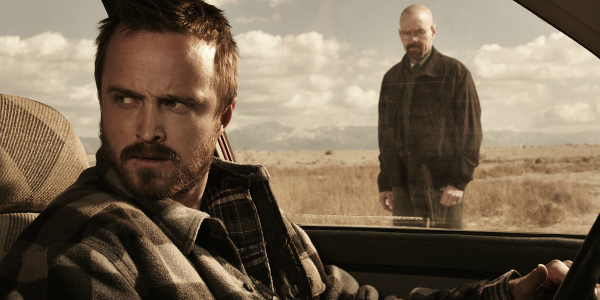 Nevertheless, it has quickly become one of my favourite comedies, even though I did not feel that the run of episodes that were aired in 2012 matched the heights of seasons 2 and 3. Leslie Knope’s campaign for City Council had hits moments (especially her debate against Bobby Newport, played by Paul Rudd) but it did not provide the comedic heights that the show has reached before when the gang were fully involved in resolving a minor problem in the Parks Department of Pawnee, Indiana. BBC America’s The Hour has not yet completed its second season, but the five episodes (of six) that have been shown in 2012 have surpassed the level that the show reached in its debut last year. With the spy story element now complete, The Hour has been able to focus on immersing us in 1950s London and that has made it stronger. Peter Capaldi – known to those who have watched The Thick of It or In the Loop as the foul-mouthed Malcolm Tucker – has joined as the much more mild-mannered, but equally persuasive, Randall Brown, further strengthening an already excellent cast. Like Boardwalk Empire, Justified’s third season did not reach the level’s of its second, mainly due to the absence of Mags Bennett (Margo Martindale), but it still remained one of the most watchable shows on television this year. Any time that US Deputy Marshal Raylan Givens (Timothy Olyphant) shares the screen with Boyd Crowder (Walton Goggins), Justified is electrifying viewing and with Ellstin Limehouse (Mykelti Williamson) now in the mix, season 4 – which premieres on FX January 8th – promises to be as compelling as the show’s first three years.